Shortly after I was laid off from my “day job” in the summer of 2012, I met with a dear saint named Mrs. Nancy Hansen from the Capstone Legacy Foundation. I had previously met Mrs. Hanson years earlier while part of a church plant in Southwest Philadelphia. As I spoke with Mrs. Hansen I found myself recounting incident after incident of how God moved miraculously in my life, starting with the day I accepted Jesus Christ as my Savior at a Vacation Bible School on my 13th birthday. I recounted God’s guidance and provision to attend a Christian high school and to attend Liberty University and graduate debt free. I recounted God’s faithfulness to me after college while working as a salesman for Radio Shack where we were paid on commission (every month God provided more sales than I needed to make my commission). I recalled how God provided a brand new washing machine for us right after we moved to Philadelphia to plant a church in the city. The stories went on and on. That day Mrs. Hansen said, “You know, you really should write a book about your story.” But that idea remained dormant until 2016 when I felt the distinct impression by God to capture not only my story, but the stories of others as well. 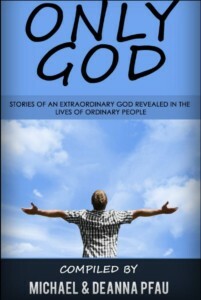 Thus, Only God: Stories of an Extraordinary God Revealed in the Lives of Ordinary People, was born. I pray and trust these stories will encourage you as you realize that the God who made the universe is interested in every detail of your life, no matter how small. And that this knowledge will inspire you to live life boldly and fully, trusting He will make a way for you to live out His purpose and plan for your life. 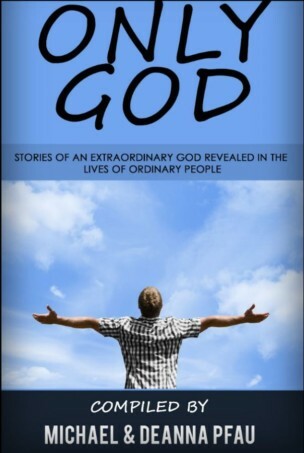 Download Diane Dotson’s Story Three Miracles Diane’s Only God story details her reluctance to move across country for a new job until God removed all doubt.